Very exciting and telling news about the direction of the mobile industry. 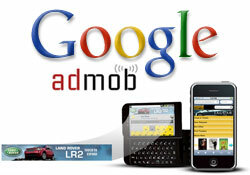 Google has agreed to purchase Admob, a mobile phone advertising company, for $750 million today. Not unlike earlier acquisitions by Google of YouTube and Urchin, this deal comes on what is likely the eve of a mobile explosion for information being passed through handhelds. 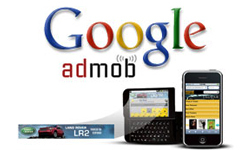 AdMob operates in a similar fashion to Google Adwords content network. 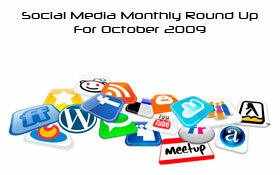 Various search and application’s choose to display advertisements. Advertisers can then signup for AdMob, choose where ads get displayed and pay AdMob who then will also give a portion of the proceeds to the actual application owner. 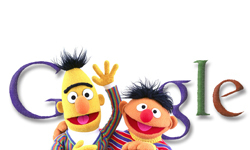 Google provides a great image on their own site illustrating how this works. Although this is strictly speculative, I am certain we will soon see a new option in our Google Adwords interface which will allow Google Adwords advertisers to select a new ‘mobile’ content network and have full control over where ads are being displayed. 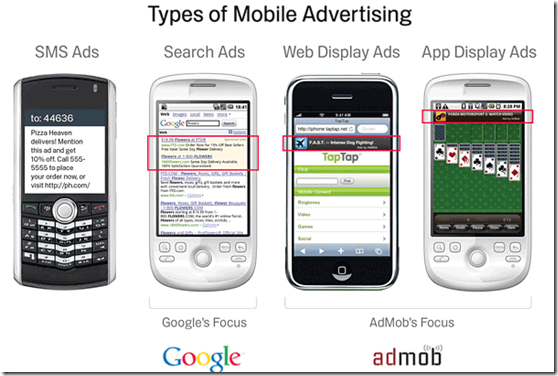 Google also describes quite well the current place mobile advertising has and the future of advertising in the industry in the upcoming years. Notch another key acquisition in Google’s belt. We are certain this will be yet another addition which will supply value to advertisers for years to come. Google does it again. This makes Google more dominant in the online ad market. Google continues to dominate the online world! Yes, google is eyeing on the fastly emerging mobile ad market, and Google knows, one obvious way is to own a strong player in the scene. 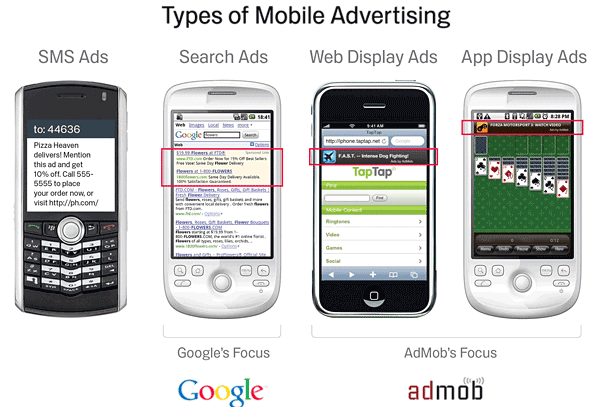 By this acquirement google’s intention is very clear, to accelerate up its mobile ad competition. By pocketing Admob, a proven competiitor to Apple’s i phone services Google is surely expecting to create dents on Apple’s realm.